Nivea Whitening Smooth Skin Deodorant repair your skin to give you even toned underarms. NIVEA Whitening Smooth Skin smoothens your skin to reveal visibly even toned & smoother underarms It contains natural ingredient makes the underarm skin soft and repair your skin to give you even toned underarms So from now on, there'll be nothing holding you back from wearing your perfect sleeveless dress anymore. 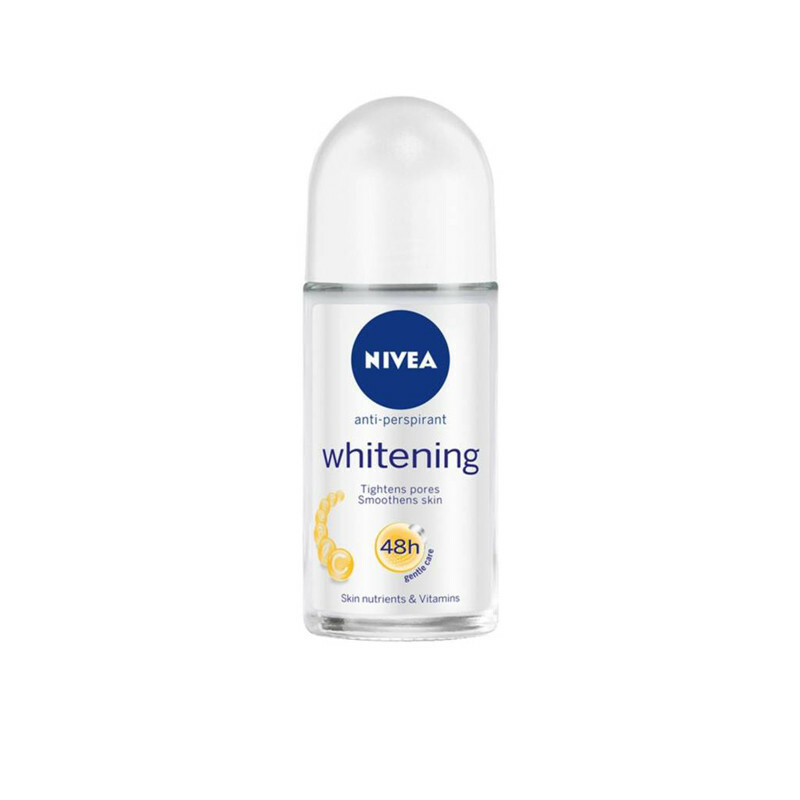 Nivea roll on is gives you elegant beautiful smell and repairs damaged skin thus making underarm skin fair and even toned and long lasting fragrance keeps your skin smooth and soft.